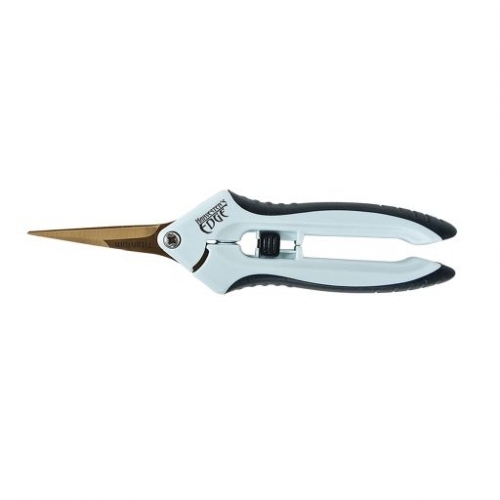 The Harvester’s Edge® Titanium Curved-Blade Pruner is compact, durable and ultra-lightweight. It includes a holster and features strong, curved fine-tip titanium blades, spring-action assistance, an ergonomic grip suited for left- or right-handed cutting and a safety locking mechanism. Excellent for use on delicate houseplants, flowers, bonsai trees, vegetables, fruits and herbs.